BUCHAREST (Romania), January 17 (SeeNews) - Greek toy retailer Jumbo plans to open its 13th store in Romania in April, it said. Jumbo will open the new 12,000 sq m unit in the eastern city of Braila, the company said in a press release on Wednesday. The retailer, which currently operates 77 stores in Greece, Cyprus, Bulgaria and Romania and an online store, reported a 30% annual rise in the net sales of its 12 Romanian units during the first half of financial year 2018/2019 started in July. 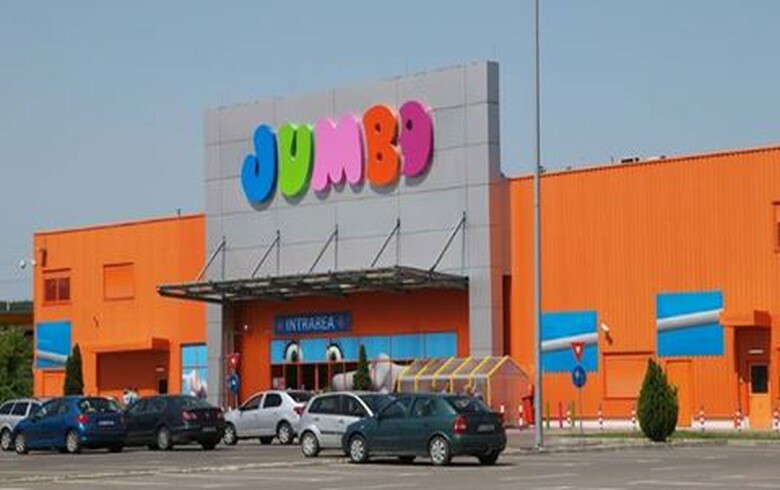 The sales of Jumbo's nine stores in Bulgaria increased by approximately 9% year-on-year. Since July 2018, Jumbo has opened two new stores in Romania: one in capital Bucharest, at the end of September, with an area of 13,600 sq m and one in Bacau, of some 12,900 sq m, in November. The company has also a presence through partnerships in five countries of Southeast Europe with stores that operate under the Jumbo brand in Macedonia, Albania, Kosovo, Serbia and Bosnia.